Karen Soldatic is an Australian Research Council DECRA Fellow (2016-2019) who prior to joining the Institute, worked at UNSW. 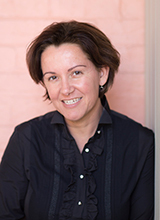 Karen's DECRA, entitled 'Disability Income Reform and Regional Australia: The Indigenous Experience', draws upon two previous fellowships: British Academy International Visiting Fellowship (2012) and The Centre for Human Rights Education, Curtin University (2011-2012) where she remains an Adjunct Fellow. Karen's research on global welfare regimes builds upon her 20 years' experience as an international, national and state based senior policy analyst and practitioner. Soldatic, K & Johnson, K (eds) (forthcoming) 2019, Global perspectives on disability activism and advocacy, Routledge. Soldatic, K 2019, Disability and neoliberal state formations (opens in a new window), Routledge, London. Soldatic, K & Johnson, K (eds) 2017, Disability and rurality: identity, gender and belonging (opens in a new window), Routledge, London. Grech, S & Soldatic, K (eds) 2016, Disability in the global south: the critical handbook (opens in a new window), Springer, New York. Soldatic, K & Grech, S (eds) 2016, Disability and colonialism: (dis)encounters and anxious intersectionalities (opens in a new window), Routledge, London. Soldatic, K & Meekosha, H (eds) 2014, The global politics of impairment and disability: processes and embodiments (opens in a new window), Routledge, London. Soldatic, K, Morgan, H & Roulstone, A (eds) 2014, Disability, spaces and places of policy exclusion (opens in a new window), Routledge, London. Soldatic, K 2019, 'Surplusisity: neoliberalism and disability and precarity', in B Watermeyer, J McKenzie & L Swartz (eds), The Palgrave handbook of disability and citizenship in the global south (opens in a new window), Palgrave Macmillan, pp. 13-26. Samararatne, D & Soldatic, K 2019, 'Transitioning with disability: justice for women with disabilities in post-war Sri Lanka', in R Shackel & L Fiske (eds), Rethinking transitional gender justice: transformative approaches in post-conflict settings (opens in a new window), Palgrave Macmillan, pp. 315-337. Soldatic, K 2018, 'Indigenous mothering and disabled children in regional Australia: a narrative study', in S Shah & C Bradbury-Jones (eds), Disability, Gender and violence over the life course: global perspectives and human rights approaches (opens in a new window), Routledge, London. Soldatic, K 2018, 'Neoliberalising disability income reform: what does this mean for Indigenous Australians living in regional areas? '(opens in a new window), in D Howard-Wagner, M Bargh & I Altamirano-Jiménez (eds), The neoliberal state, recognition and Indigenous rights, ANU Press, Canberra, pp. 131-146. Errington, H, Soldatic, K & Smith, L 2018, 'Who’s disabled, babe? Carving out a good life among the normal and everyday', in G Thomas & D Sakellariou (eds), Disability, normalcy and the everyday (opens in a new window), Routledge, London. Soldatic, K & Sykes, D 2017, 'Poverty and people with a disability', in K Serr (ed. ), Thinking about poverty (4th edition) (opens in a new window), The Federation Press, Sydney. Soldatic, K & Morgan, H 2017, '“The way you make me feel”: shame and the neoliberal governance of disability welfare subjectivities in Australia and the UK', in J Louth & M Potter (eds), Edges of identity: the production of neoliberal subjectivities (opens in a new window), Chester University Press, Chester, pp. 106-133. Smith, L, Soldatic, K, Dowse, L & Kent, M 2017, 'Developing a MOOC: factoring in disability', in R Bennett & M Kent (eds), Massive open online courses and higher education: what went right, what went wrong and where to next? (opens in a new window), Routledge, London. Soldatic, K & Johnson, K 2017, 'Introduction - Disability and rurality: identity, gender and belonging', in K Soldatic & K Johnson (eds), Disability and rurality: identity, gender and belonging (opens in a new window), Routledge, London. Kandasamy, N, Soldatic, K & Samararatne D 2017, 'Southern gendered disability reflections: the everyday experiences of rural women with disabilities after the armed conflict in Sri Lanka', in K Soldatic & K Johnson (eds), Disability and rurality: identity, gender and belonging (opens in a new window), Routledge, London. Grech, S & Soldatic, K 2016, 'Disability in the global south', in S Grech & K Soldatic (eds), Disability in the global south: the critical handbook (opens in a new window), Springer, New York, pp. xiii-xxviii. Biyanwila, SJ & Soldatic, K 2016, 'Global financialisation and disability: can disability budgeting be an effective response in the south?' (opens in a new window), in S Grech & K Soldatic (eds), Disability in the global south: the critical handbook (opens in a new window), Springer, New York, pp. 407-421. Morris, A, Wilson, S & Soldatic, KM 2015, 'Doing the 'hard yakka': implications of Australia's workfare policies for disabled people', in C Grover & L Piggott (eds), Disabled people, work and welfare: is employment really the answer? (opens in a new window), 1st edn, Policy Press, Bristol, pp. 43-68. Grover, C & Soldatic, KM 2014, 'Temporalities and spaces of disability social (in)security: Australia and the UK compared', in K Soldatic, H Morgan & A Roulstone (eds), Disability, spaces and places of policy exclusion (opens in a new window), Routledge, London, pp. 97-121. Roulstone, A, Soldatic, KM & Morgan, H 2014, 'Disability, space, place and policy: new concepts, new ideas, new realities', in K Soldatic, H Morgan & A Roulstone (eds), Disability, spaces and places of policy exclusion (opens in a new window), Routledge, London, pp. 1-6. Meekosha, H & Soldatic, KM 2014, 'Human rights and the global south: the case of disability', in K Soldatic & H Meekosha (eds), The global politics of impairment and disability: processes and embodiments (opens in a new window), Routledge, London, pp. 15-30. Frohmader, C, Meekosha, H & Soldatic, KM 2014, 'Unruly mothers or unruly practices? Disabled mothers surviving oppressive state practices in Australia', in G Filax & D Taylor (eds), Disabled mothers: stories and scholarship by and about mothers with disabilities (opens in a new window), 1st edn, Demeter Press, Bradford, pp. 279-298. Meekosha, H & Soldatic, K 2013, 'Disability-inclusive social work practice', in L Beddoe & J Maidment (eds), Social work practice for promoting health and wellbeing: critical issues (opens in a new window), pp. 144-156. Pini, B & Soldatic, K 2012, 'Women, chronic illness, and rural Australia: exploring the intersections between space, identity, and the body', in Rural women's health: gendered connections (opens in a new window), 1st edn, University of Toronto Press, Toronto, pp. 385-402. Soldatic, K & Meekosha, H 2012, 'Disability and neoliberal state formations', in N Watson, A Roulstone & C Thomas (eds), Routledge handbook of disability studies (opens in a new window), 1st edn, Routledge, Abingdon, pp. 195-210. Uink, B & Soldatic, K (guest eds) 2018, 'Editorial reflections on Indigenous economic practices of contestation, resistance and wellbeing' (opens in a new window), Global Media Journal - Australian Edition, vol. 12, no. 1. Soldatic, K & Gilroy, J (eds) 2018, ‘Intersecting Indigeneity, colonialisation and disability’, Disability and the Global South, vol. 5, No. 2, pp. 1337 - 1552. Grech, S & Soldatic, K (eds) 2018, ‘Global perspectives on disability’, Social Inclusion, vol. 6, No. 2, pp. 1 - 86. Grech, S & Soldatic, KM (eds) 2015, 'Disability and colonialism: (dis)encounters and anxious intersectionalities', Special Issue: Disability and Colonialism: (Dis)encounters and Anxious Intersectionalities, Social Identities: Journal for the Study of Race, Nation and Culture (opens in a new window), vol. 21, no. 1. Meekosha, H & Soldatic, K (eds) 2011, 'Human rights and the global south: the case of disability', Special Issue: Disability in the Global South, Third World Quarterly, vol. 32, no. 8. Fitts, M & Soldatic, K 2018, 'Disability income reform and service innovation: Countering racial and regional discrimination' (opens in a new window), Global Media Journal - Australian Edition, vol. 12, no. 1. Soldatic, K 2018, 'Disability poverty and ageing in regional Australia: the impact of disability income reforms for Indigenous Australians' (opens in a new window), Australian Journal of Social Issues, pp. 223-238. Soldatic, K & Gilroy, J 2018, ‘Editorial: Intersecting Indigeneity, colonialisation and disability’(opens in a new window), Disability and the Global South, vol. 5, no. 2, pp. 1337-1343. Soldatic, K, Melboe, L, Kermit, P & Somers K 2018, ‘Challenges in global indigenous–disability comparative research, or, why nation-state political histories matter’ (opens in a new window), Disability and the Global South, vol. 5, no. 2, pp. 1450-1471. Soldatic, K 2018, 'Policy mobilities of exclusion: implications of Australian disability pension retraction for Indigenous Australians' (opens in a new window), Social Policy and Society, vol. 17, no. 1, pp. 151-167. Kandasamy, N & Soldatic, K 2017, 'Implications for practice: exploring the impacts of government contracts on refugee settlement services in rural and urban Australia', Australian Social Work, vol. 71, no. 1, pp. 111-119. Soldatic, K, Somers, K, Spurway, K & van Toorn, G 2017, 'Emplacing Indigeneity and rurality in neoliberal disability welfare reform: the lived experience of Aboriginal people with disabilities in the West Kimberley, Australia' (opens in a new window), Environment and Planning A, DOI: 10.1177/0308518X17718374. Gartrell, A & Soldatic, K 2016, 'Rural women with disabilities in post-conflict zones: the forgotten sisters of Australia's disability-inclusive development' (opens in a new window), Third World Thematics: A TWQ Journal, vol. 1, no. 3, pp. 370-381. Chataika, T, Mehrotra, N, Soldatic, K & Kolářová, K 2016, 'What kind of development are we talking about?' A virtual roundtable with Tsitsi Chataika, Nilika Mehrotra, Karen Soldatic and Kateřina Kolářová (opens in a new window), Somatechnics, vol. 6, no. 2, pp. 142-158. Kandasamy, N, Soldatic, K & Samararatne, D 2016, 'Peace, justice and disabled women's advocacy: Tamil women with disabilities in rural post-conflict Sri Lanka' (opens in a new window), Medicine, Conflict and Survival, pp. 1-19, DOI: 10.1080/13623699.2016.1237101. Dowse, L, Soldatic, K, Spangaro, J & van Toorn, G 2016, 'Mind the gap: the extent of violence against women with disabilities in Australia' (opens in a new window), The Australian Journal of Social Issues, vol. 51, no. 3, pp. 341-359. Didi, A, Soldatic, K, Frohmader, C & Dowse, L 2016, 'Violence against women with disabilities: is Australia meeting its human rights obligations? ', Australian Journal of Human Rights, vol. 22, no. 1, pp. 159-177. Spurway, K & Soldatic, K 2016, '"Life just keeps throwing lemons": the lived experience of food insecurity among Aboriginal people with disabilities in the West Kimberley', Local Environment, vol. 21, no. 9, pp. 1118-1131. DOI: 10.1080/13549839.2015.1073235. van Toorn, G & Soldatic, KM 2015, 'Disability, rights realisation, and welfare provisioning: what is it about Sweden?' (opens in a new window), Research and Practice in Intellectual and Developmental Disabilities, vol. 2, no. 2, pp. 109 - 115. Samararatne, DWVA & Soldatic, K 2015, 'Inclusions and exclusions in law: experiences of women with disability in rural and war-affected areas in Sri Lanka', Disability and Society, vol. 30, no. 5, pp. 759-772. Walsh, J, Spangaro, J & Soldatic, K 2015, 'Global understandings of domestic violence' (opens in a new window), Nursing and Health Sciences, vol. 17, no. 1, pp. 1-4. Soldatic, KM, Somers, K, Buckley, A & Fleay, C 2015, ''Nowhere to be found': disabled refugees and asylum seekers within the Australian resettlement landscape' (opens in a new window), Disability and the Global South, vol. 2, no. 1, pp. 501-522. Soldatic, K 2015, 'Postcolonial reproductions: disability, indigeneity and the formation of the white masculine settler state of Australia' (opens in a new window), Social Identities: Journal for the Study of Race, Nation and Culture, vol. 21, no. 1, pp. 53-68. Grech, S & Soldatic, KM 2015, 'Disability and colonialism: (dis)encounters and anxious intersectionalities', Social Identities: Journal for the Study of Race, Nation and Culture, vol. 21, no. 1, pp. 1-5. Soldatic, K, van Toorn, G, Dowse, L & Muir, K 2014, 'Intellectual disability and complex intersections: marginalisation under the National Disability Insurance Scheme', Research and Practice in Intellectual and Developmental Disabilities, vol. 1, no. 1, pp. 6-16. Soldatic, KM & Grech, S 2014, 'Transnationalising disability studies: rights, justice and impairment' (opens in a new window), Disability Studies Quarterly, vol. 34, no. 2. Soldatic K, 2013, 'The transnational sphere of justice: disability praxis and the politics of impairment', Disability and Society, vol. 28, no. 6, pp. 744-755. Meekosha, H, Shuttleworth, R & Soldatic, K 2013, 'Disability and critical sociology: expanding the boundaries of critical social inquiry' (opens in a new window), Critical Sociology, vol. 39, no. 3, pp. 319-323. Soldatic, K 2013, 'Appointment time: disability and neoliberal temporalities' (opens in a new window), Critical Sociology, vol. 39, no. 3, pp. 405-419. Grover, C & Soldatic, K 2013, 'Neoliberal restructuring, disabled people and social (in)security in Australia and Britain', Scandinavian Journal of Disability Research, vol. 15, no. 3, pp. 216-232. Soldatic K; Meekosha H, 2012, 'Moving the boundaries of feminist social work education with disabled people in the neoliberal era', Social Work Education, vol. 31, no. 2, pp. 246-252. Soldatic, K & Pini, B 2012, 'Continuity or change? Disability policy and the Rudd government' (opens in a new window), Social Policy and Society, vol. 11, no. 2, pp. 183-196. Soldatic, K, Meekosha, H & Somers, K 2012, 'Finding Ernesto: temporary labour migration and disabled children's health' (opens in a new window), International Journal of Population Research, vol. 2, no. 1, pp. 1-9. Soldatic, K & Meekosha, H 2012, 'The place of disgust: disability, class and gender in spaces of workfare' (opens in a new window), Societies, vol. 2, no. 3, pp. 139-156. Meekosha, H & Soldatic, K 2011, 'Human rights and the global south: the case of disability', Third World Quarterly, vol. 32, no. 8, pp. 1383-1398. Soldatic, K & Pini, B 2011, 'Book review: Exploring Disability', Health Sociology Review, vol. 19, no. 3, pp. 339-340. Soldatic, K 2010, 'Surviving the assault? The Australian disability movement and the neoliberal workfare state' (opens in a new window), Social Movement Studies, vol. 9, no. 2, pp. 139-154. Soldatic, K & Biywanila, SJ 2010, 'Tsunami and the southern disabled body', Global South: SEPHIS, vol. 6, no. 3, pp. 75-84. Soldatic, K & Fiske, L 2009, 'Bodies locked up: intersections of disability and race in Australian immigration', Disability and Society, vol. 24, no. 3, pp. 289-301. Soldatic, K & Pini, B 2009, 'The three Ds of welfare reform: disability, disgust and deservingness', Australian Journal of Human Rights, vol. 15, no. 1, pp. 77-96. Soldatic, K & Fitts, M 2018, ‘At what cost?' Indigenous Australians’ experiences of applying for disability income support (Disability Support Pension) (opens in a new window)(PDF, 1.6MB), Western Sydney University, Penrith, New South Wales. Samararatne, D, Soldatic, K & Perera, B 2018, ‘Out of the shadows’: war-affected women with disabilities in Sri Lanka: Final Report' (opens in a new window)(PDF,497KB), Western Sydney University, Penrith, New South Wales. Samararatne, D, Soldatic, K & Perera, B 2018, A study of war-affected women with disabilities in Sri Lanka: pre-consultation report (PDF, 305KB) (opens in a new window), Western Sydney University, Institute for Culture and Society, Penrith, Australia. Samararatne, D & Soldatic, KM 2014, Rural disabled women's social inclusion in post-armed conflict Sri Lanka, Kensington, 1. Soldatic, KM, Spurway, K 2014, Hard yakka: living with a disability in the West Kimberley, UNSW Australia, Sydney. Dowse, LM, Soldatic K, Did, A & van Toorn, G 2013, Stop the violence: addressing violence against women and girls with disabilities in Australia, background paper, Stop the Violence. Soldatic, K & Johnson, K 2016, 'Bussing with Trump: listening to affect' (opens in a new window), The Sociological Review. Soldatic, K 2016, 'Responding to violence against women with disabilities' (opens in a new window), Global Disability Watch, 27 April. Soldatic, K 2016, 'Violence against women with disabilities: The Silent Tears Project' (opens in a new window), Global Disability Watch, 16 March. Soldatic, K & Spurway, K 2015, 'Why Aboriginal people need autonomy over their food supply' (opens in a new window), The Conversation, 25 May. Soldatic, K 2014, 'West Kimberley Indigenous disability patients faction economic insecurity' (opens in a new window), ABC News, 17 July. Soldatic, K & Dowse, L 2013, 'Another step forward for the NDIS but still details missing' (opens in a new window), The Conversation, 8 December. Soldatic, K & Love, T 2012, 'New forms of disability activism: who the "hell" are the Bolshy Devas?' (opens in a new window), RampUp, 11 July. Soldatic, K, Reeve, D, Morgan, H & Grover, C 2012, 'Britain's disabled are being abandoned by the state' (opens in a new window), OpenDemocracy, 19 April. Soldatic, K & Milner, J 2012, 'Ashley's treatment: the arrested development of a disabled child' (opens in a new window), The Conversation, 13 April. Soldatic, K 2011, 'Giving and taking away: NDIS and pension reform' (opens in a new window), The Conversation, 14 October.